With the two Commies – the La-5 and Yak-3 – moving into the weathering and final assembly stages, it’s time to look forward to the next build(s). After venturing into Soviet aircraft and Eastern European kits, I’m veering back to build two American classics. Not only classic aircraft – but classic kits as well. 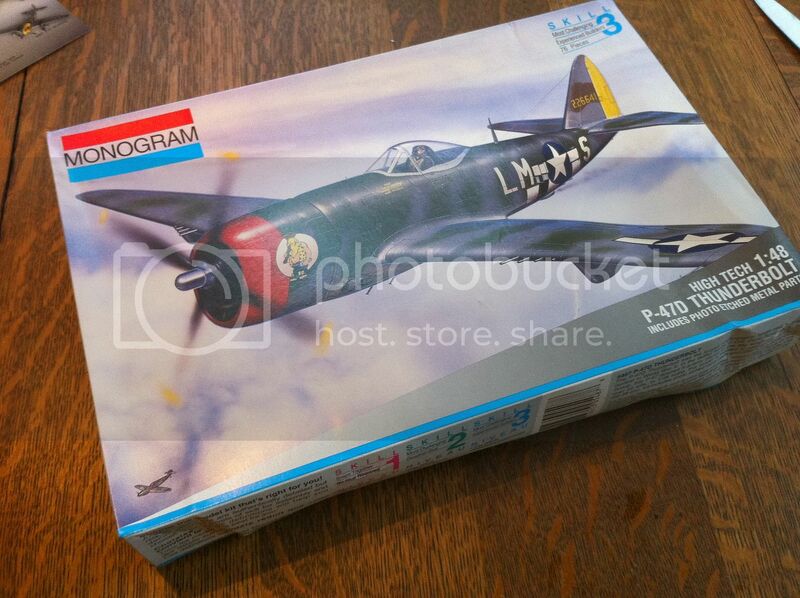 Next up, the Monogram P-47D Thunderbolt and the Revell/Monogram P-38J Lightning. Of all the aircraft that flew during World War II, the Republic P-47 Thunderbolt is my favorite. If the P-51 Mustang was a lithe and agile thoroughbred, the P-47 was a clydesdale. Powered by Pratt & Whitney’s monstrous R-2800 Double Wasp radial engine, it was the heaviest single-engine fighter of the war, but it was built like a tank, and brought many pilots home from situations where other planes would have gone down in balls of fire. Its eight Browning .50 caliber machine guns and impressive payload capacity gave it a hell of a punch as both a fighter and an attack aircraft. I’ve been itching to build a P-47 since returning to modeling, but I’ve been holding off, wanting to find my feet a bit more so I could do it justice. Instead of going in on the fantastic-but-pricey Tamiya P-47, I would kick things off with the Monogram P-47 I built growing up. It’d be a nice blast of nostalgia, as well as a chance to see how my skills have improved in the last fifteen or so years. The kit is certainly dated – the underside of one of the horizontal stabilizers still carries the original 1967 mold date – and it’s lacking much of the precision of newer kits, but it’s the same 1993 boxing I built once upon a time, complete with the little photo-etch detail fret. 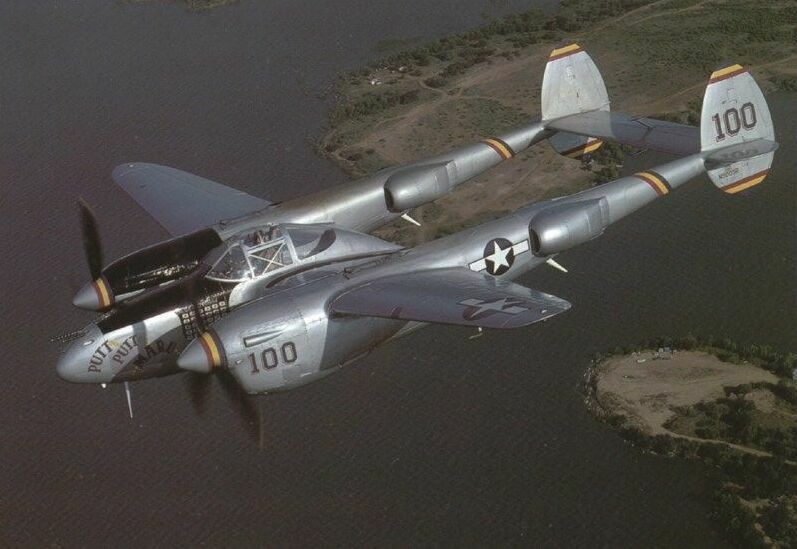 The Lockheed P-38 Lightning is one of those aircraft that everybody recognizes. Even if they can’t name it, they’ve seen its unique twin-boom shape somewhere, sometime. Every played the classic shooter 1942? If so, then you’ve even flown a P-38. It served with distinction in just about every theater of World War II, was the plane that shot down Yamamoto, and was the chariot of the leading U.S. ace, Richard Bong. Of all the aircraft I’ve built, I’ve somehow never tackled a P-38. Over on the FineScale Modeler forums, a few other voiced the same experience, and a P-38 group build was born. I decided to go with the Revellogram kit for three reasons. First, I found one in stock at Hobby Lobby. Second, it was cheap (as most of these old Revellogram kits are). Third, I knew I’d be kicking off the Monogram P-47 soon, and figured it’d be fun to do both old kits at the same time. 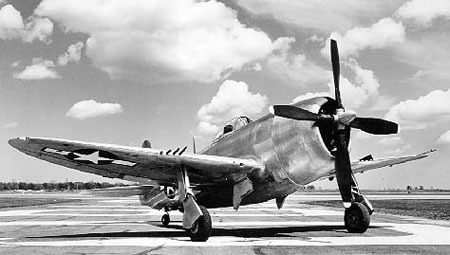 The P-38 is even older than the P-47, and the original molds date back to 1964. It has it’s fair share of issues, common for Monogram kits of that vintage, but the surface detail actually looks pretty fantastic, and my initial test fit went way better than expected. I’m hoping both kits will prove to be fun builds, and well as testbeds for my pretty much non-existant scratchbuilding abilities.